 SYRACUSE, N.Y. — Glens Falls traveled out to the Syracuse’s Carrier Dome to play the undefeated Batavia Blue Devils in the Class B title game Saturday. Joseph Girard III was magnificent and the Indians won their second state title in three years 55-32. Girard III was the star again today. He started the game with four consecutive incompletions and a designed run that was blown up in the back field. However, his own interception on the goal line was more than enough to rally his team to an early comeback. Girard III went on an offensive tear after that, finishing the half with 129 passing yards and 48 rushing yards with one rushing touchdown. His production didn’t stop after the break where Girard III racked up 193 total yards and three more touchdowns. His 370 yard performance was great enough to earn him the finals Most Valuable Player. “You know he always wanted to be more than just and average Joe, and that’s what he showed today,” said captain Kyle Vachon. Batavia came right out of the gate with their senior running back Ray Leach and got to work. Leach moved the ball downfield almost single-handedly, finally scoring on a 34 yard dash. On the next drive Leach went back to work with a little bit of help from his quarterback Ethan Biscaro. Unfortunately a sack by Glens Falls’ Terel Bonner-Welch sent Biscaro limping off of the field. Naturally, they placed Leach under center for the remainder of the drive. His first throw went right towards the glove of Trent Girard but was just too high for him to corral. The ball went careening through the air and into the hands of Taiyo Iburi-Bethel who kept going for a 40 yard touchdown. Leach’s next pass wasn’t as fruitful. Near midfield he slung it towards Iburi-Bethel but overthrew him by five yards and the ball found the waiting hands of Girard III. Now down 14, Girard III found his classmate David Barclay 20 yards downfield while scrambling and then he took it for a 66 yard gain. He then finished the drive off with a five yard scramble for a touchdown. Then on their next drive Joe used his legs again, breaking three tackles for a 43 yard gain. Aalijah Sampson punched it in on the goal line and just like that the game was tied. Ray Leach responded to Glens Falls’ run by getting to the edge and turning upfield for an 83 yard touchdown run. It was all Sampson in the next drive. Sampson had 48 all-purpose yards before another goal line touchdown, putting the Indians up one at the half. The second half was dominated by the Indians. On their first drive the Indians saw a fourth and 12 near midfield. Coach PatLilac opted to go for it and Girard put a ball deep to David Barclay on a fly route for a touchdown. Then on the next drive a long pickup by Trent Girard gave Joe Girard the opportunity to run the ball in three yards. Trent Girard got his first taste of championship paydirt on the next drive where he out ran multiple defenders to reach the end zone. Sampson added another two touchdowns to his total including a 16 yard run where he had to throw defenders in order to stay upright. Ray Leach could only add two more touchdowns to cut the deficit. Ethan Biscaro returned in the second half but his hobbled motion came back to bite them. Glens Falls’ Terel Bonner-Welch was able to quickly get off the end of the line and hit Biscaro from his blind side. Bonner-Welch had four sacks on the game and hit the quarterback on multiple throws including the final interception by Kyle Vachon. “Boy is he an it factor for us. He has that motor that constantly works on that line and he gets to the quarterback when they do drop back,” said Vachon. With today’s win Glens Falls has secured their second championship in the past three years. This will also be the last championship in the Joseph Girard III era.